US President Donald Trump has threatened the kingdom with "severe punishment" if Khashoggi, who has been critical of powerful Crown Prince Mohammed bin Salman, was killed inside its Istanbul mission. 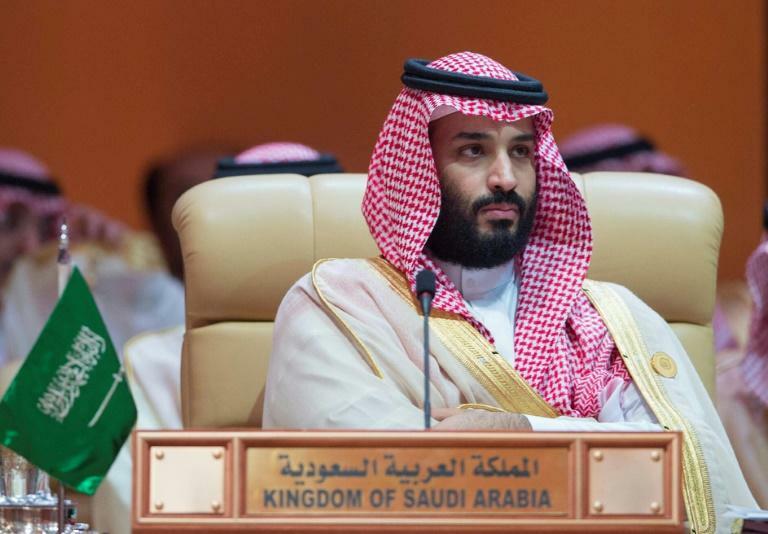 But Riyadh vowed to hit back on Sunday against any punitive measures as its stock market tumbled, with the fallout from the crisis threatening to imperil Prince Mohammed's much-hyped economic reform drive. 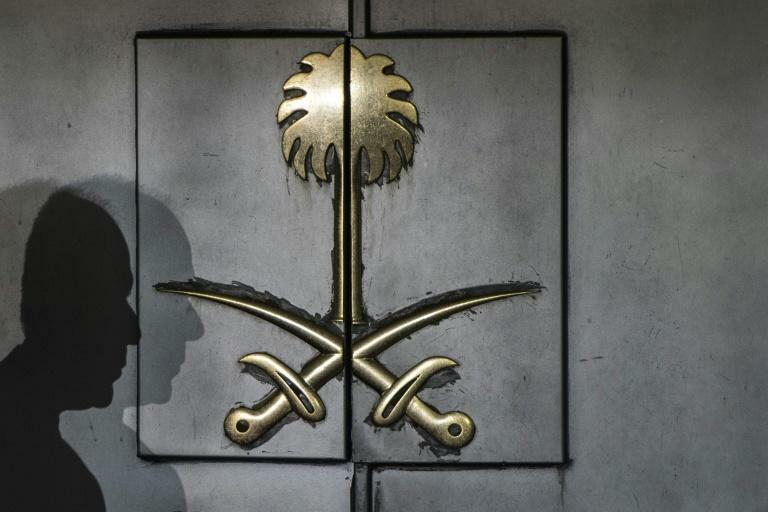 "The kingdom affirms its total rejection of any threats or attempts to undermine it whether through threats to impose economic sanctions or the use of political pressure," an official said, according to state news agency SPA. The official said Riyadh would "respond to any action with a bigger one", pointing out that the oil superpower "plays an effective and vital role in the world economy". According to Saudi-owned Al Arabiya television, the kingdom has "over 30 measures" it could implement. Following Riyadh's assertion it would retaliate, Britain, France and Germany released a joint statement saying they were treating Khashoggi's disappearance "with the utmost seriousness". "There needs to be a credible investigation to establish the truth about what happened, and -- if relevant -- to identify those bearing responsibility for the disappearance of Jamal Khashoggi, and ensure that they are held to account." 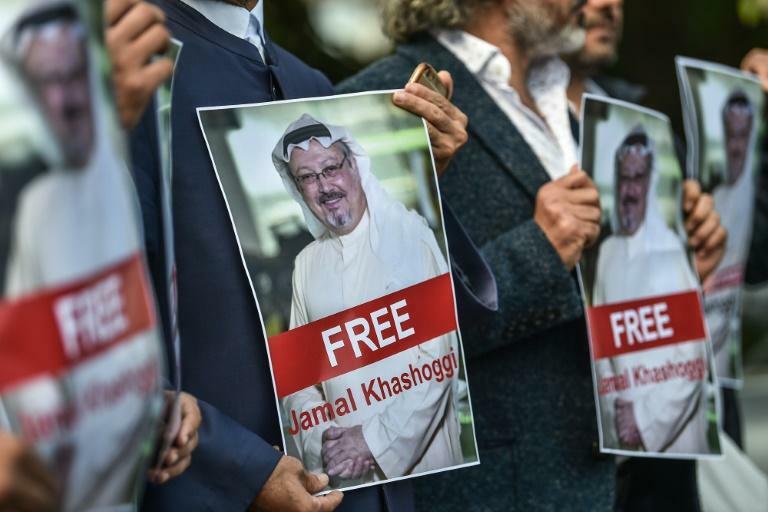 A Saudi dissident in Quebec said on Sunday he believes the kingdom hacked his phone and listened to calls he had with Jamal Khashoggi prior to the journalist's disappearance. "For sure, they listened to the conversation between me and Jamal and other activists, in Canada, in the States, in Turkey, in Saudi Arabia," Omar Abdulaziz said in an interview with the Canadian Broadcasting Corporation. Saudi King Salman spoke to Turkish President Recep Tayyip Erdogan by phone on Sunday, the Saudi foreign ministry said, telling Erdogan: "No-one will get (to) undermine the strength of this relationship." According to a Turkish presidential source, who asked not to be named, Erdogan and the king discussed "the issue of shedding light on the case of Jamal Khashoggi" and also emphasised the "importance of creating a joint working group within the framework of the investigation." In the US, White House economic adviser Larry Kudlow said Saudi Arabia should take Trump's warning over the journalist's fate seriously. "When the president warns, people should take him at his word," he told Fox. "If the Saudis are involved, if Khashoggi was killed or harmed or whatever, bad outcome here. He (Trump) will take action." The kingdom's Tadawul All-Shares Index (TASI) lost more than 500 points, diving by seven percent in the first two hours of trading Sunday, in panic selling reminiscent of the days after the global financial crisis in 2008. Japanese SoftBank's shares also took a dive on Monday, falling by nearly seven percent over fears for its major financial ties with Saudi Arabia. "The withdrawal of top participants from the Riyadh investment conference has also negatively impacted traders' sentiment," he told AFP. Business barons including British billionaire Richard Branson and Uber CEO Dara Khosrowshahi, as well as media powerhouses like Bloomberg and CNN, have pulled out of next week's Future Investment Initiative (FII) in Riyadh. The withdrawal of Uber's Khosrowshahi from the event is particularly symbolic as the kingdom's vast Public Investment Fund (PIF) has invested $3.5 billion in the ride-hailing app.